PLEASE HELP TOMMY BY CLICKING HERE. In this new special “THANK YOU!” video, Tommy Robinson expresses his deep gratitude to all his supporters for helping him get a top legal team. On April 14, there is another court case against him for striking a fellow prisoner who was about to pour boiling water, mixed with sugar, on his face. A top legal team will now make the difference between life and death. We would like to extend our eternal appreciation to all of our wonderful and generous supporters who have reached out to Tommy. Watch Tommy’s “THANK YOU!” video below and please continue to help him by CLICKING HERE. And make sure to watch The Glazov Gang’s special 2-part series with Tommy. In Part I, he discusses his new memoir, Enemy of the State. In Part II, he focuses on Rotting in Solitary, sharing the excruciating ordeal he has endured in the UK prison system. Don’t hesitate to let us all know if you need any more finances Tommy! And good luck! We’re supporting you Tommy, having watched your heroism for several years, from here in Sydney. You are truly an inspiration, and we wish you all the best for 14th. Praying that the outcome is one where justice is served, and you are totally exonerated. Such a brave man. I hope and pray that with a new legal team behind you, you will not be sent to prison on Thursday. If you are, there needs to be a public campaign to get you out. Good luck Tommy, my thoughts are with you. You deserve some luck for a change have supported you for years. The book is a good read not a religious person by any means but i mean it when i say God Bless You notforgetting your family. 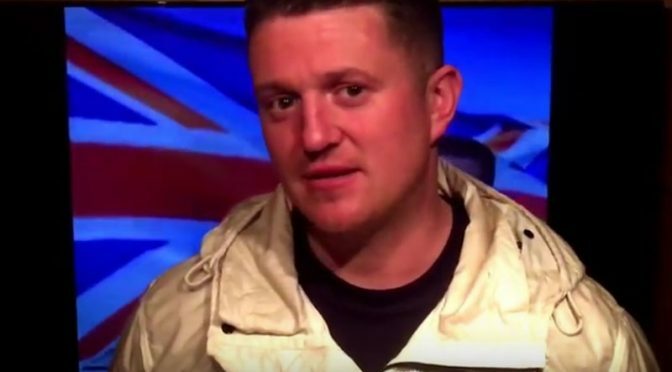 No Tommy you don’t need to thank us we end to thank you for being our voice and all the crap you and your family have to go through .so I thank you .I’m a luton lady and many of us owe you. I have donated a very small amount and will donate again PAY DAY. Thanks to and good luck for Thursday. You are our champion . What is disturbing me at the moment is RS and PG have gone vociferously quiet.